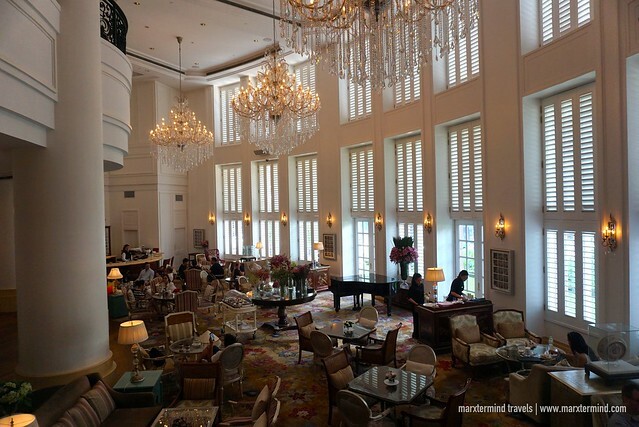 Park Hyatt Saigon was the best part of our short vacation in Ho Chi Minh. It is a luxurious hotel in the heart of the city providing 5-star hotel services and amenities. Set in an imposing French Colonial building, it is a classically beautiful hotel that has a charming and elegant appeal. 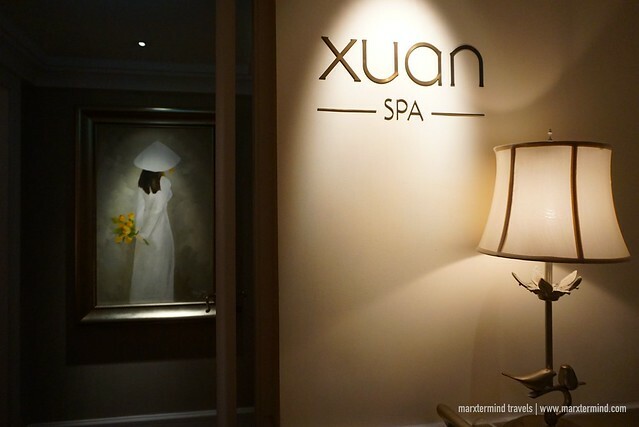 Upon entering its premises you’ll definitely feel like a royal. It has luxurious interiors, top-class amenities and offers world-class hospitality in an elegant setting. 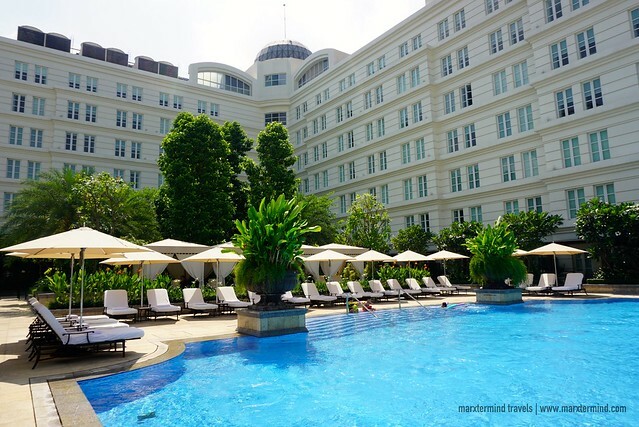 Park Hyatt Saigon is one of the best hotels to stay in Ho Chi Minh combined with history, luxury and comfort. It features beautifully decorated rooms and enjoyable facilities giving guests the high standard of modern-day comforts. It also has a great location because it is just across the Opera House and walking distance to the popular city attractions. Getting to Park Hyatt Saigon is easy. From the airport, we took a Grab Car and was able to reach the hotel in about half an hour. It was dawn when we arrived but we were lucky because early check in was possible. Upon our arrival, the front desk on duty warmly welcomed us. He asked for our passports and a credit card for the security deposit. When everything was settled, the staff handed our room keycard and wished us a pleasant stay. We went straight away to our room and had a much-needed rest before we spent time enjoying the hotel amenities and exploring the city. 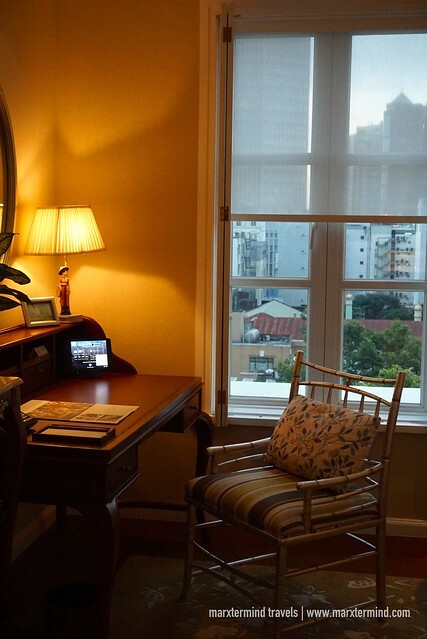 Park Hyatt Saigon has 245 tastefully furnished rooms and suites. For guestrooms, there are Park King Room, Park Twin Room, Garden View Room and Deluxe Room. For Suites, guests can book a stay from Park Suite, Lam Son Suite, Park Deluxe Suite, Park Executive Suite and Presidential Suite. Please check this link for room rate and availability. We stayed in a Park King Room. It was spacious, comfortable and well-appointed with anything a traveler could want. The room also looks lovely and majestically beautiful with its nice colonial charm. 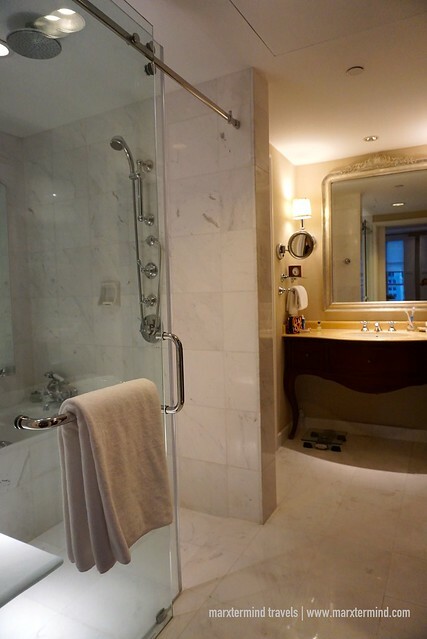 It has a massive king bed and features a marble bath, walk-in rain shower, a separate work area and a ceiling fan. 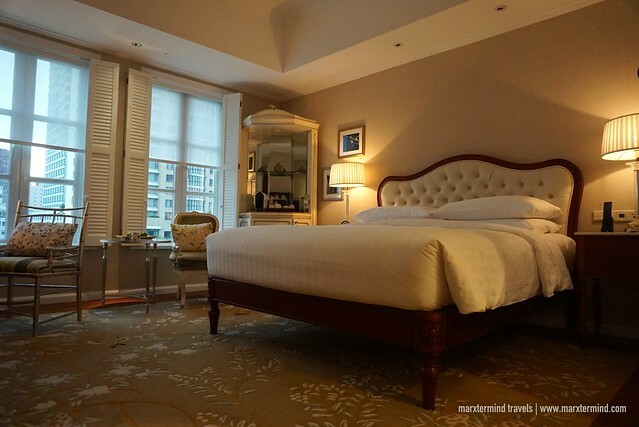 The French-colonial style room is also a top-notch with its state of the art amenities. Combined with elegant and traditional comfort, the room has the latest technology including in-room mini iPads, Nespresso coffee maker machine and sensor lighting systems. Other amenities inside the room are LED TV, individually controlled air conditioning, Bluetooth speaker, data port, mini bar, refrigerator, plush bathrobe, in-room safe, iron and ironing board, and hair dryer. 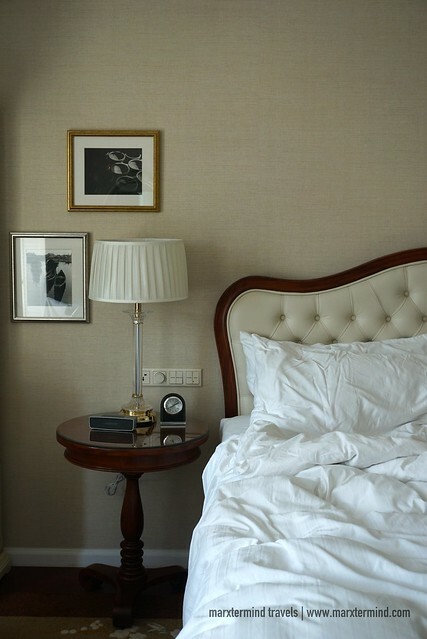 The cozy, white bed was my favorite part of the room. It’s the centerpiece of the hotel room and looks really huge that it can actually fit three persons. If we just didn’t have an activity that time, I could have probably just stayed on our bed in our entire vacation. Another thing to love about Park Hyatt Saigon is the range of excellent facilities that is designed for relaxation and convenience. From dining options, recreation, lifestyle facilities and business services, Park Hyatt Saigon has everything that guests need to enjoy a top-notch level of comfort. Park Hyatt Saigon has a concierge desk, fitness area, spa, business center and meeting venues. There’s also an outdoor pool, which is one of my favorites. It looks picturesque surrounded by lush tropical garden. 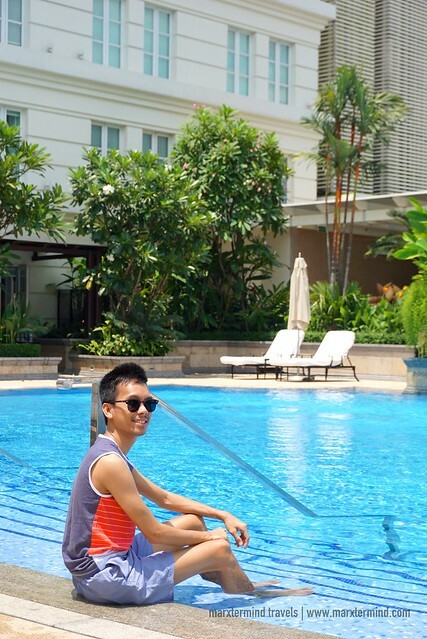 I was able to take advantage of the pool, one during the night after we went touring the city and then the next day before we checked out. I like that the hotel staff were always present in the pool area. They were very attentive and always ready to serve guests. 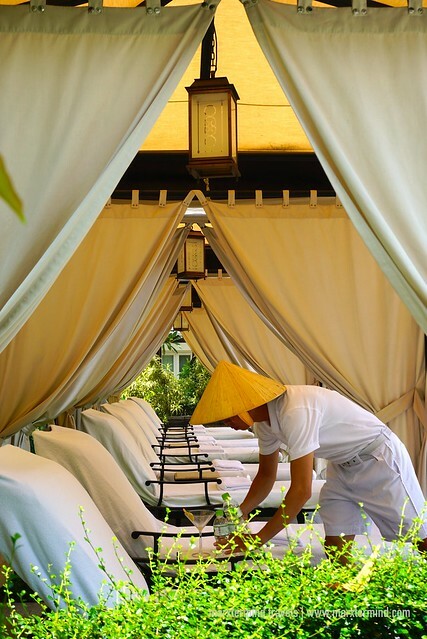 Other services to enjoy at Park Hyatt Saigon are room service, butler service, laundry and dry cleaning service, daily housekeeping and tour assistance. Airport transfer and shuttle service can also be arranged upon request. Wi-Fi is also accessible for free in all rooms. When it comes to dining, the hotel has café, bar and restaurants. Each of these dining options offer a unique and well-rounded dining experience. 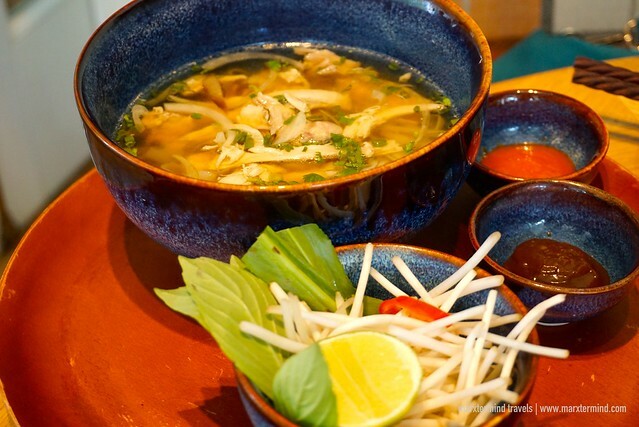 Square One, which is located on the mezzanine floor of the hotel, offers Vietnamese and French delights. The elegant Park Lounge, which is on the ground floor, offers afternoon tea in a casual setting. It’s a nice place if you want to enjoy the time on your own or have a cup of tea or coffee with friends. 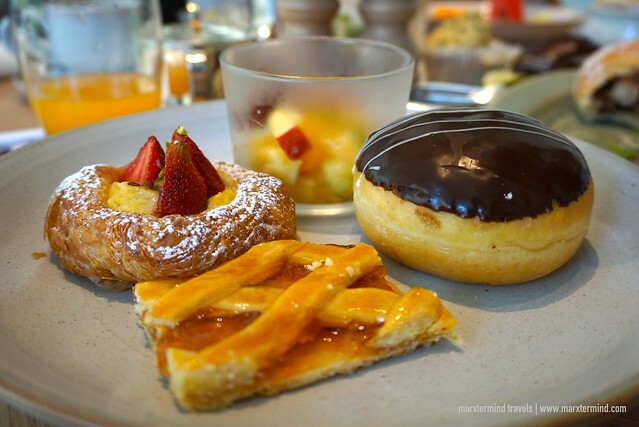 If you are craving cakes, sweets and pastries, Park Hyatt Saigon has The Pastry Boutique. Park Hyatt Saigon also has lounge bar. 2 Lam Son is a contemporary bar that adds to the vibrant nightlife of Ho Chi Minh City. This bar serves international wines, premium spirits, local and imported beers with signature cocktails and artisanal snacks. If you’re looking for an open air bar, there’s The Terrace. It offers an extensive beverage collection and a mouth-watering bar menu. Opera is an all-day dining restaurant serving buffet breakfast and Italian Cuisine for lunch and dinner. We were able to try this cozy restaurant on our second day. We had our breakfast around 7:00am. One of the servers attended us and was accompanied to a table inside a semi-private room. He handed a menu to us. At first I felt weird, why she handed a menu. I thought it was a buffet. Then, I realized the menu consist of à la carte dishes not part of the buffet. It consists of local and international fare. 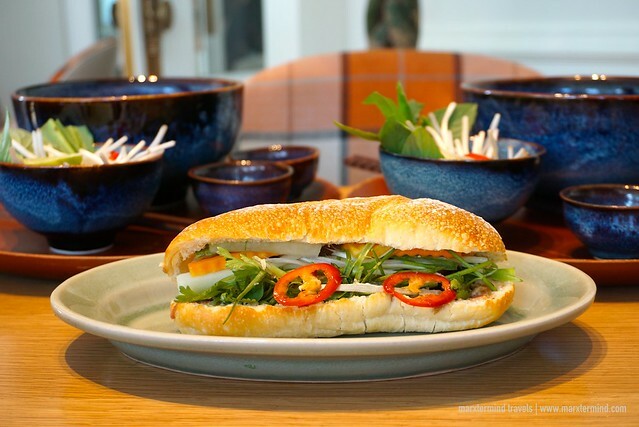 Since we were in Vietnam, we had Chicken and Beef Pho and Banh Mi Baguette. While waiting for our food to be ready, I went to the main dining area and surveyed the buffet spread. 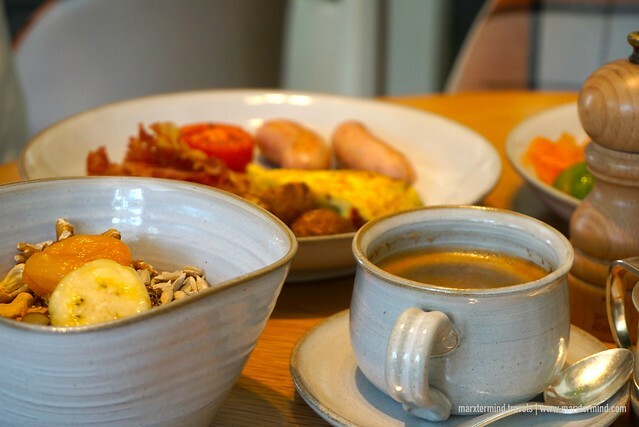 It has a nice selection including cereals, dumplings, pork sausage, bacon,, roasted potato, frittata, salami and smoked salmon. There were also fruits, pastries, toast, bread and yoghurt. There’s also a salad section. Beverages are also available. There are fresh juices, coffee and tea. 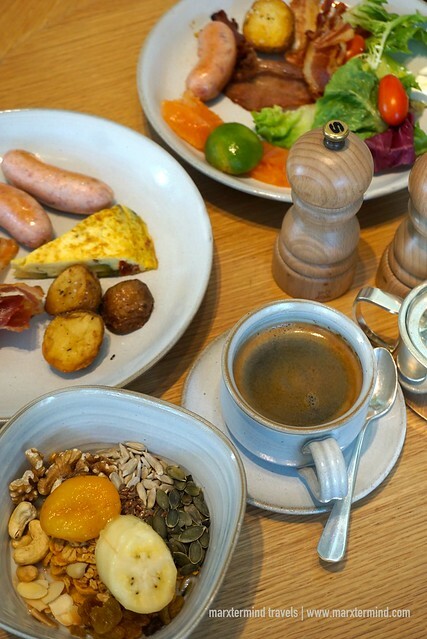 My friends and I enjoyed our breakfast. We were all full afterwards. The service was great. The ambiance of the Opera was really nice. The buffet spread was also excellent. I love the pastries and desserts. I was also able to like the Chicken Pho even though I’m not a fan of this dish. With late evening flight back to Manila, we checked out from our room past noontime and explored the city again. Park Hyatt Saigon allowed us to store our backpacks. We went back to the hotel around 8:00pm. We waited for a couple of hours, used the Wi-Fi of the hotel and took some time to lounge before we finally went to the airport. 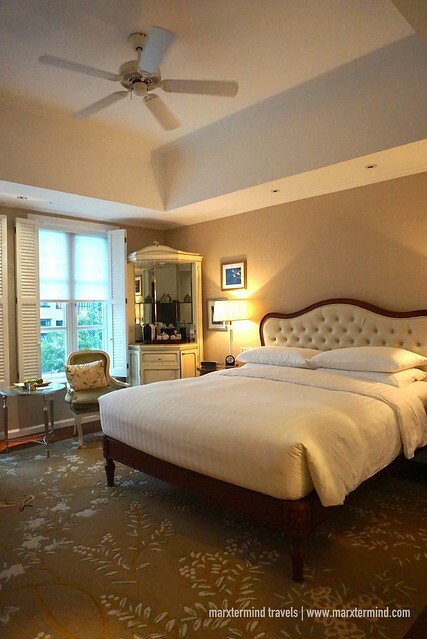 With stylish guestrooms, excellent facilities and impeccable services, Park Hyatt Saigon was beyond perfect. It was a true pleasure staying in this hotel. It has everything we needed to have a wonderful vacation in Ho Chi Minh. We wanted to treat ourselves and this hotel provided us the hospitality, comfort and elegance. Park Hyatt Saigon is home to 245 guest rooms and suites. All are tastefully furnished and fitted with modern-day comforts. It is conveniently located in the city center making it a great base to explore Ho Chi Minh. How to tour Ho Chi Minh like a millionaire (but on a budget)?